South Dakota law requires the equalization office to appraise property at its full and true value as of November 1 of each year. This value is reflected to the market value in which most people would likely pay for a given property in its present condition. This is done using mass appraisal techniques. The equalization office must notify property owners when the value increases 20% or more at the time assessment notices are sent out. This assessment notice by law is sent out by March 1 of each year. The total amount of property tax to be paid in any given year is determined by the budgets set by our elected officials. This includes the city, county, townships, and school board. Once the budgets are set, the amount needed from property taxes is divided by total taxable value to determine the mill levy or also known as dollars per thousand. Each property’s share of the property tax is based on the assessor’s value. Although the work of the assessor doesn’t determine the total amount of taxes paid, it does affect the uniform distribution of the property tax burden. As part of the assessment process, the assessor also maintains ownership records. 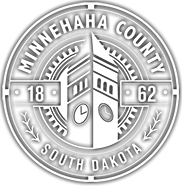 This includes legal descriptions and ownership information for all parcels of property in Minnehaha County. Mass appraisal is the systematic appraisal of groups of properties as of a given date using standardized procedures and statistical testing. This differs from single property appraisal, commonly referred to as “fee” or “bank” appraisal, which normally deals with only a particular property as of a given date. Mass appraisal includes the application of single property appraisals as well as the development of appraisal formulas and statistical models that can be applied uniformly to a number of properties at a time. The Equalization Office annually reviews towns or neighborhoods that are in need of reappraisal so that a new appraisal can be applied to each property. The department also performs continual statistical analysis on property sales and current appraisals to determine if assessment values are in line with what properties are selling for. If not, values are trended to the market by several different means. Taxable value is a percentage of the assessed value as determined by the Department of Revenue. The Department of Revenue audits the Director of Equalizations information to determine the median level of assessment. That level is then put into a calculation to determine what percent of the assessed value is taxable. What is a Mill Levy or Dollar Per Thousand? The mill levy or dollar per thousand is determined each year by dividing the total amount of dollars needed by each entity (city, county, township, and school) from the total taxable value. A legal description is simply a description that contains a designation by which a piece of property is identified. In the written transfer of real property, it is required that the instrument of conveyance (deed) include a written description of the property. A property regardless of size, under one ownership, is generally described as a parcel. In maintaining ownership records, the assessor defines the boundaries of land according to ownership and assigns a unique identifying number to each parcel. This is referred to as the parcel or ID number.